The English do drinks so much better than Americans. One thing I instantly miss when I re-enter my homeland is the delicious and healthy quality of the drinks over in England. From the sports drink, Lucazade, to the delicious juice, Oasis, the British refreshments rank far better than the drink options here in the states. But of all the quality drinks in England nothing tops a cool glass of squash. I know many of you unfamiliar with the drink are completely grossed out. No, the British do not feed their children juiced vegetables. (Some might, but squash is not made from the vegetable squash.) Squash is actually a sugar-free fruit concentrate that when added to water is remarkable. It is the go-to drink in every household I’ve ever visited in England. Squash is so popular because it is cheap, easy to make, and relatively healthy. The American comparative is Kool-Aid, but I refuse to let me daughter drink that stuff. Kool-aid is basically sugar water and tooth decay in cup. But, after reading through the ingredients in a bottle of squash I have far less qualms about handing my daughter a glass. There are a couple of ways to make squash. If you want to make a pitcher of the drink, you pour the desired amount into the bottom of the pitcher (it doesn’t take too much) and then fill the rest of the pitcher with water. In order to make a single glass of squash you just add a couple of drops to a glass and fill to the top with water. One bottle of squash can go a long way. Before we left England we purchased a couple bottles for £1 each at Tesco and they will each make up to 60 glasses of squash. I really wish America would get on the squash train. Granted, there are some places in America where squash can be purchased, but in my experience it is never as fresh or delicious as buying it in England. Recently, I have noticed that Robinson’s Fruit Shoots have been sold in America and although it isn’t true squash, Robinson’s is one of the best squash brands in England. The Fruit Shoots do not have any added sugar (according to their label) so they are about as close to British Squash as you can get in America. I’ve even noticed that several McDonald’s locations in America give you the option to add a Fruit Shoot to a Happy Meal. If you have ever found a British squash in America that you have been pleased with please share about the experience. I’m still looking for a place to buy it frequently so that I don’t have to go through withdrawal once my two bottles from England are depleted. There are so many things about England that I wish I could bring home with me. But meat, cheese, cakes, coffees, and people don’t fit well in suitcases and tend to raise red flags when trying to get through TSA. Every year as we settle back into our American life my husband and I always try to brainstorm ways to make our home resemble the life we love in England as well. In the past this had led to several changes to our routines and lifestyle. At the core of why we do these things is that we like the idea of raising our daughter to appreciate both cultures equally. One thing we talked about while in England this year was recreating some of our favorite meals more often. A few British meals already comprise our regular meal schedule (British roast, cottage pie, apple crumble, yorkshire pudding, etc.) but not nearly enough. There’s a huge challenge there as many of our foods are extremely different, but we’ve done our best to create American versions of several meals. We call them Ameri Brit Meals. From the opening of the first package until plates were on the table took about 30 minutes. The trick to this meal is getting everything cooked to perfection and ready at the same time. It was a warm and hectic half an hour, but everything turned out. It will take me a couple of weeks to perfect a fried egg the way my husband was raised to eat them, but it still turned out edible. Last Tuesday night we had our final cLife meeting with our current church group. Next month we will begin a new term and our close knit body will be dispersing in different directions. It’s a good thing ultimately because it means we had outgrown one group, but it’s always sad when a good thing comes to an end. In an act of finality I hosted a family game night. The children played. The dad’s built and sat around the fire pit all while the moms played a few hilarious rounds of Telestrations through whining and injured children, feedings, and countless other interruptions. It was a blast! I have truly gained a second family with my church group and feel blessed to have spent two years in community with each person who has crossed our path. For the party I tried a new recipe I found on Pinterest. It was a huge hit so I figured why not share it with my blogging community too!?! It may not look like much, but this stuff is addicting and a huge crowd pleaser. Bon Apetit! 2. Combine the sour cream, cream cheese, and dill. Stick in the refrigerator to chill. 3. Remove crescent rolls from the can and press into a large rectangle on a non-stick or parchment lined baking sheet. Pinch together all of the seams. 4. Bake for 6-7 minutes or until golden. 5. While the crust is baking, chop all of the fresh vegetables. 6. Spread chilled cream cheese mixture onto the cooled crescent roll crust. 8. Cut into appetizer sized pieces. 9. This can be refrigerated for up to an hour before serving. 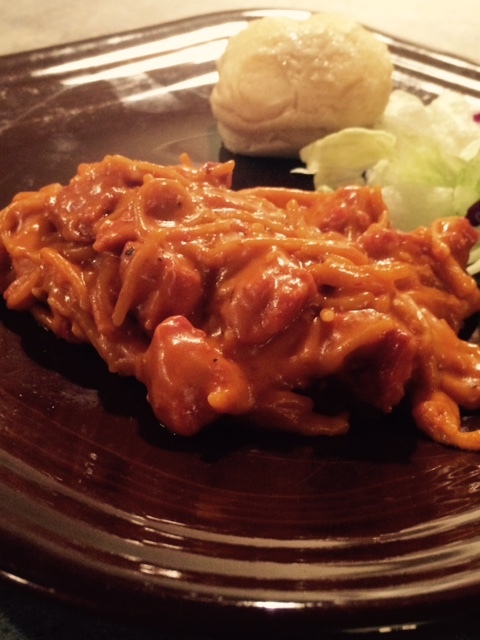 It’s been a while since I last posted a dinner recipe here on the blog. Lately, we’ve gotten in the habit of hibernating at home to avoid the nasty weather. I’ve used this bonus time as an opportunity to explore some new recipes. Thanks to motivation from Jen Hatmaker in For the Love, I’ve had several glasses of wine and new home-cooked meals over the past couple of months. Here is a great recipe that I found in an old cookbook and tweaked so that my entire family would enjoy this dish. I hope you find a way to work it into your family’s meal rotations. In a greased, 10 in. 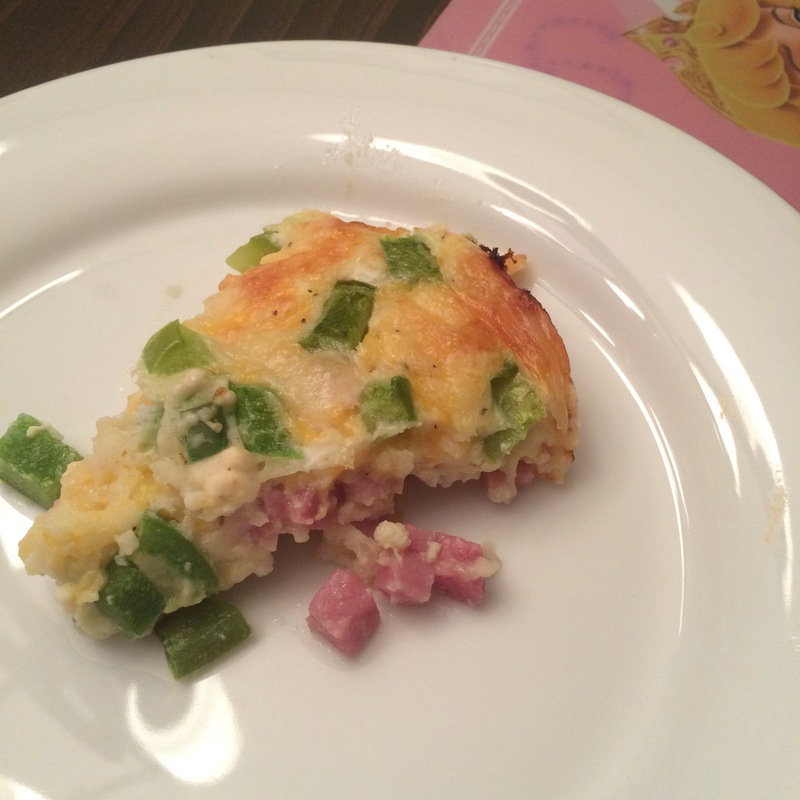 pie plate layer ham, both cheeses, and green pepper. Place the remaining ingredients in a blender or stand mixer in the order given above. Blend for 35-40 seconds. Pour the liquid mixture over the ham, cheese, and peppers. Do not stir. Bake uncovered for 30-35 minutes or until set and lightly brown. Let stand five minutes before cutting and consuming. *It’s as simple as that! If your family is anything like mine, every morning there is a struggle to eat breakfast and get through the morning routine. All of my best intentions to be ready on time are often thwarted by the race against the clock. And when required to drop a part of the regimen usually I do the terrible deed of neglecting breakfast. We’ve all heard that breakfast is the most important meal of the day. Knowing this I’ve started a routine of cooking breakfasts on Sundays and freezing them for the upcoming week. This week I made Sausage Balls and thought I would share the recipe for those of you struggling to grab breakfast in the mornings. Gone are the days of fast food drive thrus when it only takes 40 seconds to cook an on-the-go breakfast. Preheat the oven to 350 degrees. Mix all ingredients by hand in a large glass bowl. Be sure to pull the sausage apart thoroughly to be sure ingredients are evenly distributed. 2. Form small balls of the mixture with your hands. Place them on an ungreased cookie sheet. 4. These can be served immediately, but if you are choosing to freeze them wait until they are cool to place in a freezer bag. They keep well for up to two months. **in order to reheat sausage balls, place them in the microwave wrapped in a napkin or paper towel. Heat for 40 seconds to a minute. Be sure to check that the sausage balls are cooked through before consuming. This is such a quick and easy recipe that is a favorite in my home. No more neglecting breakfast or stopping at a drive-thru for a greasy breakfast sandwich for this family. I’ve really been putting in an effort to eat healthier lately. Over the summer I lived a fairly active lifestyle, but my meal options were sometimes quite a pitfall. There were many days that I traded my healthy home cooked meals for a plate of nachos or pizza because they were convenient while we were out and about. Don’t get me started on the amount of fried or greasy foods I consumed while in England. 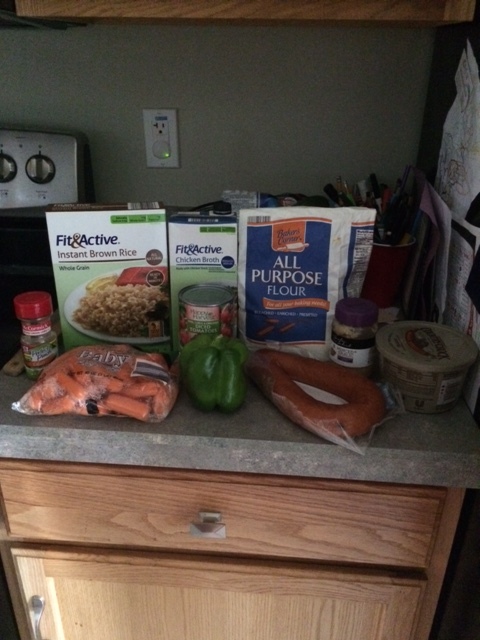 So I am heading back to the healthy basics. 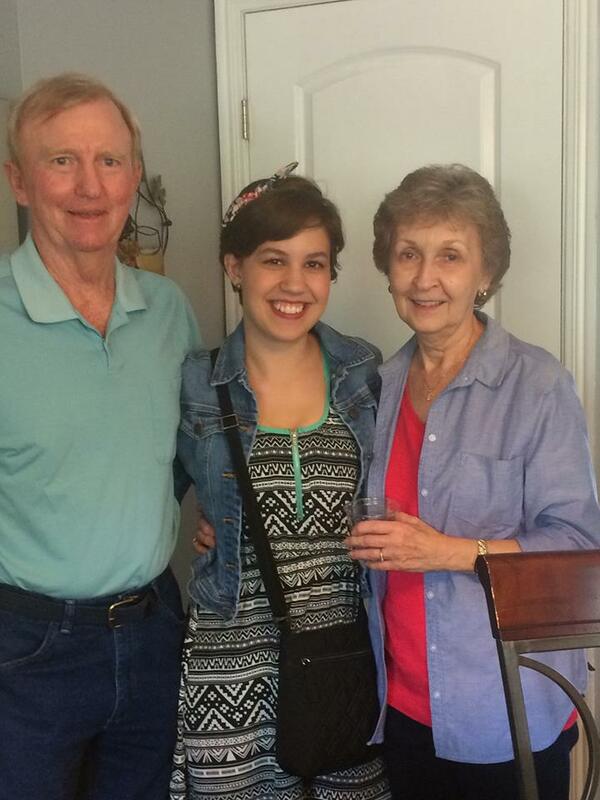 I have reread one of my first (and most read) posts from all the way back in February. The post is entitled, No More Fast Food and it discusses why I am taking a stand against fast food and what alternatives I am choosing for my health and my family. In an effort to get myself off on the right start I am hoping to go on a Clean Eating diet for a couple weeks. I’ve downloaded a list of ingredients that are okay to consume while on this diet and I realize it is really not that difficult. The main foods left off this list are those that are processed, packaged, or contain harmful chemicals for the body. 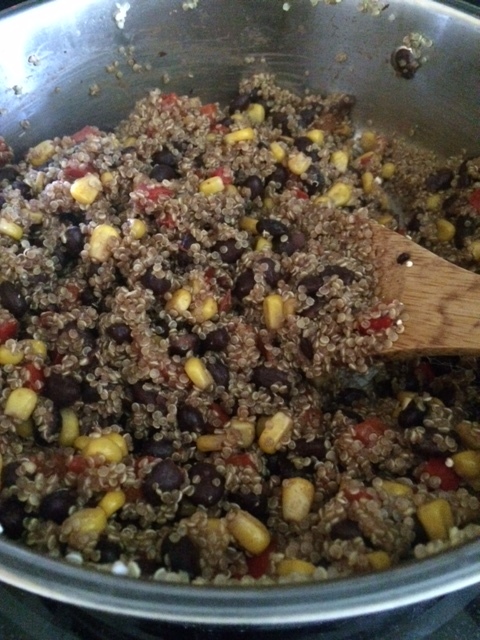 This weekend I plan to go more in depth about this diet so that you can see some of the specifics a little better, but for now I am going to give you a Clean Eating recipe for one-pot Quinoa Salad. This dish is best served warm, however, if you should choose to you may refrigerate it after cooking and eat it chilled. It makes a brilliant lunch item for back-to-school or office lunch packers. So here is a look at this delicious and healthy recipe. 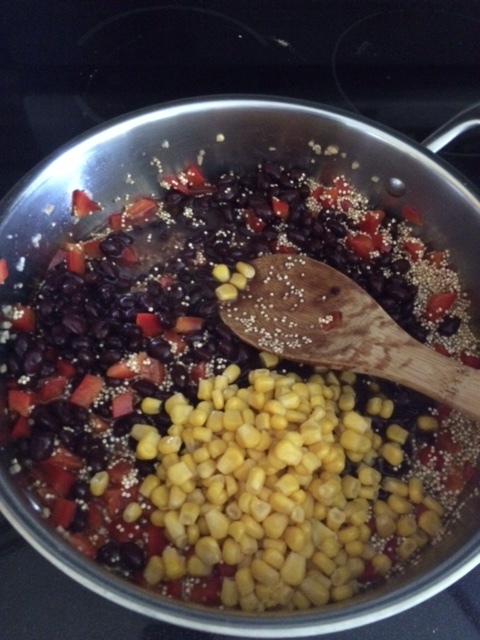 Stir in quinoa, broth, beans, tomoato, corn, and seasonings. 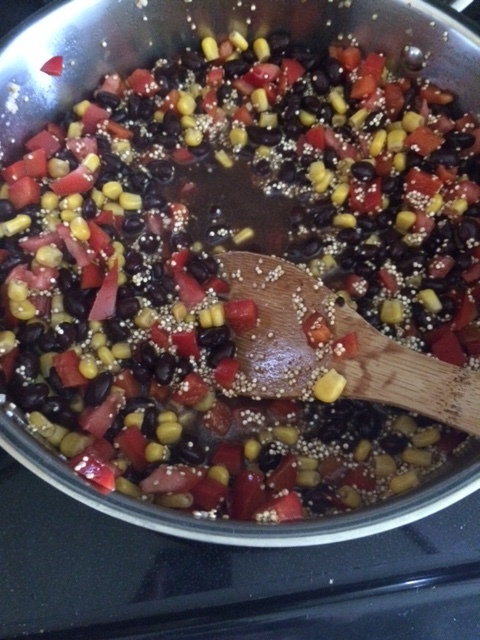 Bring to a boil; cover, reduce heat and smmer until quinoa is cooked through, about twenty minutes. This meal is so delicious and very filling. I made a pot and put the leftovers in the refrigerator to pack for lunches this week. My sister is going on a vegan/organic foods kick and so I stole this recipe from her. She’s pretty awesome. Let me know if you have any recipe suggestions for someone who is trying to cut out processed and unhealthy food from my diet. Since becoming a mother my Crockpot has become my trusted best friend. It allows me to create healthy meals for my family even when my schedule doesn’t allow for much meal time prep. During the school year my Crockpot is a staple to my menu planning and I utilize it a minimum of once a week. 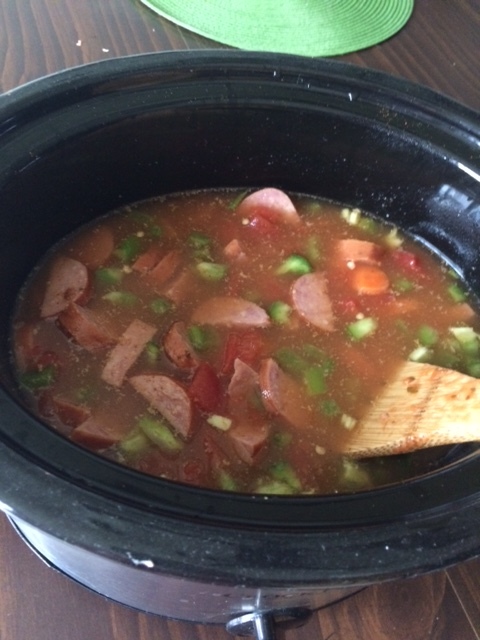 Over the past couple of years I have produced my famous Crockpot Gumbo for several friends and/or gatherings. 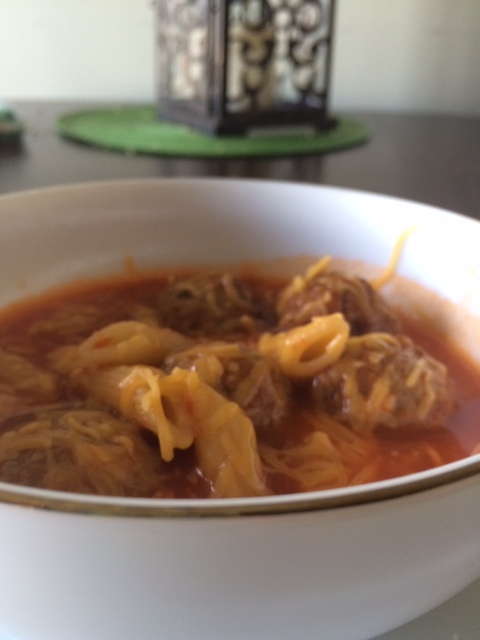 I’ve had quite a few people ask for my recipe so I thought I would publish this recipe here on my blog for any of you that might want to try this one out. What I like most about this meal is its simplicity. The prep time is about ten minutes. This particular recipe calls for more vegetables than most gumbo recipes, but you would never know it in a blind taste test. The flavors blend so well I can never get enough of this one. 1. In a non-stick skillet, melt the butter. Add the flour and stir until the flour is golden brown. 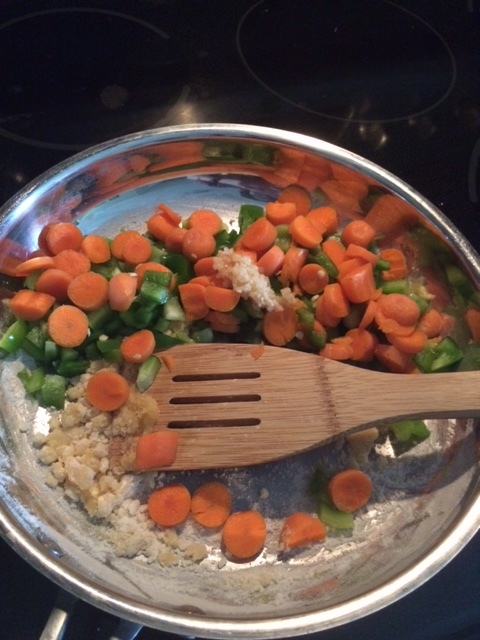 Add the pepper, garlic, onion, and carrots. Saute for one minute. 2. Add the mixture to a 4-quart slow cooker. 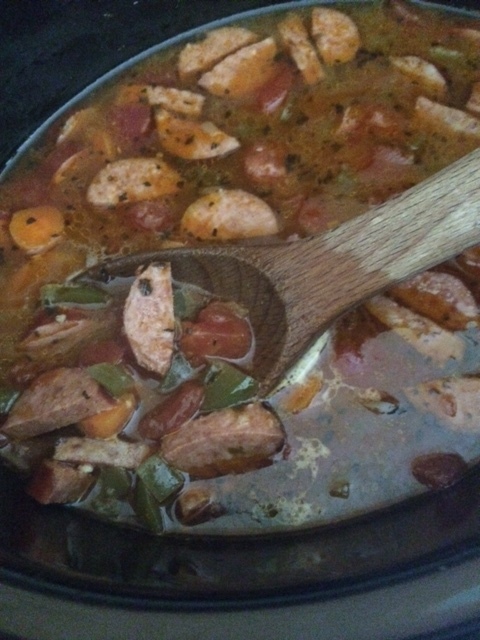 Add the broth, seasoning, sausage, and tomatoes. Cook on low for 8-10 hours. 4. Serve over a bed of brown rice. 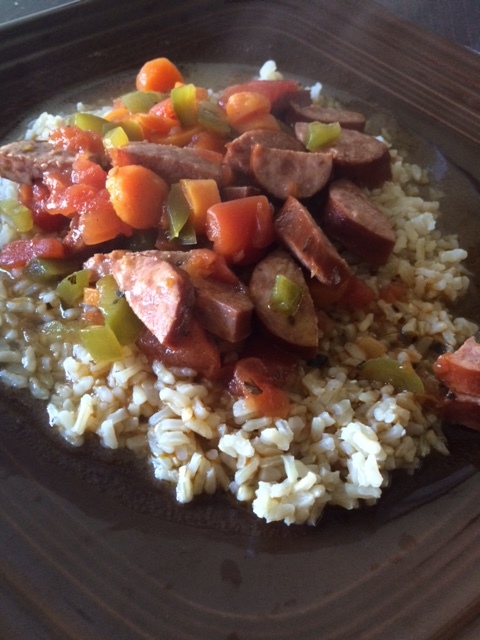 This recipe is quite mild, but if you want to turn up the heat on your gumbo you can substitute the green pepper for a hotter pepper of your choice. Also, you can add to the amount of Cajun seasoning used as well. It is totally your preference. My two-and-a-half year old loves this dish which is why I keep it pretty mild. She will sit and eat every bite off her plate, and she doesn’t even like carrots. The taste masks that well! 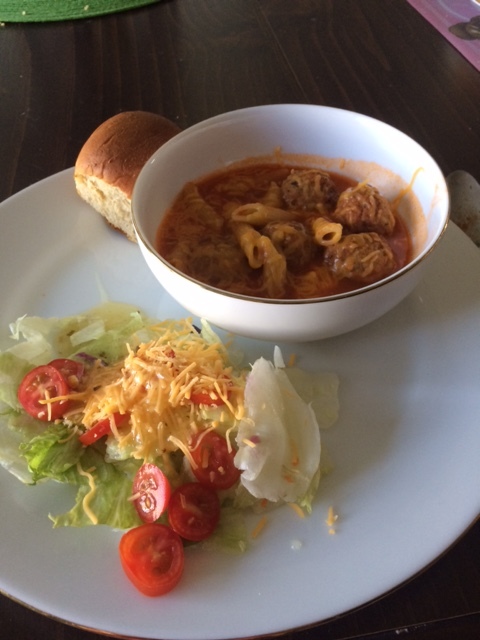 This recipe is a quick and easy soup similar to Italian Wedding Soup as it features meatballs, noodles, and broth. This is a kid-friendly meal (my daughter loves it) and I can whip this up quickly for a busy night. I hope you enjoy! 1. 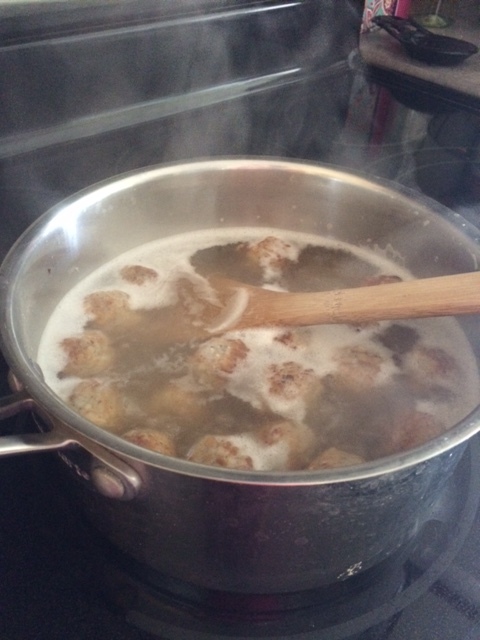 Begin the recipe by cooking the meatballs according to their packaging. 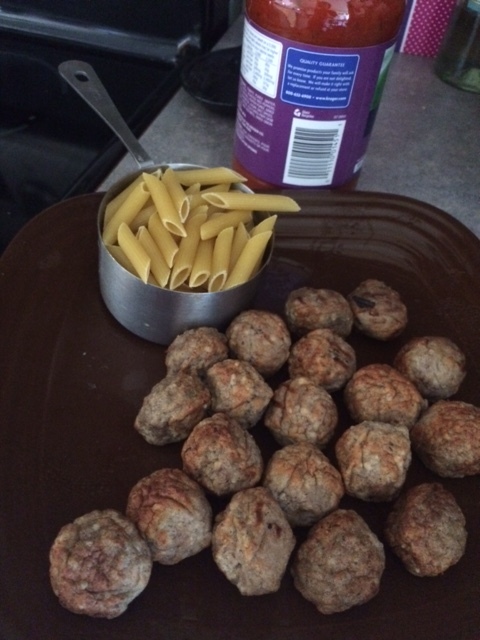 Most meatball packages allow for the option of microwave cooking which is the quickest way to speed along the process if you are short on time. 2. Combine the broth and water in a medium sauce pan and bring to a boil. 3. Once boiled, add the pasta and meatballs. Return to a boil and cook until the pasta is done. DO NOT DRAIN! 4. Reduce heat and stir in the pizza sauce. Cook an additional two minutes or until thoroughly heated. 5. Top with cheese before serving. Serve this soup with a crusted bread and fresh romaine salad. This recipe makes 4-6 servings. We always have leftovers for the lunch the next day or two. Oh, Monday how I loathe thee. Mondays seem so taxing sometimes. If you’re anything like me you rush out of the office on Friday afternoons as quickly as possible only to return to work on Monday to a lengthy to-do list. I re-entered my classroom today with a list of tasks like finalize third quarter grades, schedule a background check, complete state license paperwork, and submit grades (not to mention also teaching six classes). Today I felt as though I had more energy than I normally do on Mondays, but I’m sure that’s due to the fact that I was beginning my final week before Spring Break. There’s always a high level of energy the week before long breaks. Anyway, when I accomplished all I could muster the energy to complete today (which sadly was not my entire to-do list) I headed home to another list of chores, but ones I was much more excited to to tackle. I’ll take laundry and cooking over paperwork ANY DAY (especially if I can play with my daughter along the way)! So…what’s on the menu this Monday? 1. In a pot with boiling water, cook pasta according to the package directions. 2. Meanwhile, in a skillet brown sausage in oil. Add garlic and cook an additional 30 seconds to 1 minute. 3. Stir in tomato sauce, tomato paste, Italian seasoning, chicken broth, and heavy cream. Bring to a boil. 4. Cover and simmer on low for 12-15 minutes. 5. Drain pasta and mix into sausage and sauce. Serve topped with Parmesan cheese. 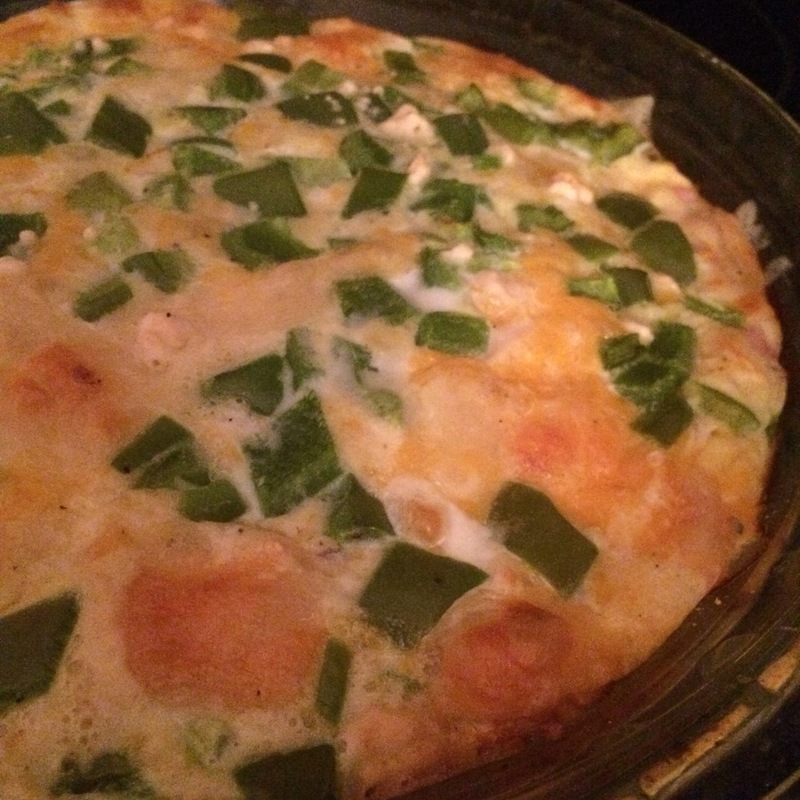 *This recipe serves 4-6 people depending on portion sizes. This was a great meal for a long and cold Monday. I served it up with a salad and some Brown’n’Serve rolls. This is a family friendly meal that both my daughter and my husband enjoyed. I could have halved the recipe since I was only feeding three, but I like to pack leftovers for lunches so I boxed up extra servings. This meal is always great refrigerated and reheated.